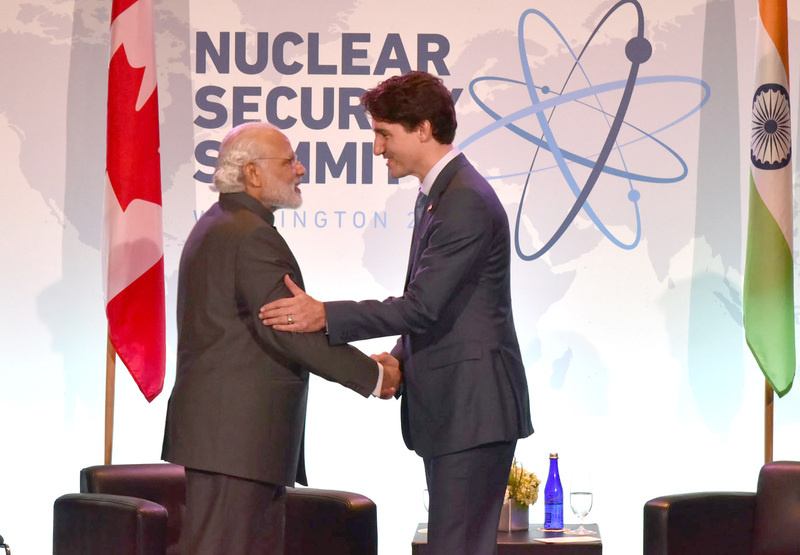 Prime Minister Trudeau’s woeful visit to India has been the subject of much mockery in the past few weeks – and with good reason. The invitation of a suspected extremist to official events with the Prime Minister triggered outrage from around the world and Mr. Trudeau’s flamboyant attire throughout the trip rightfully attracted snide commentary from fashionistas and non-fashionistas alike. A mere week seems to have sent Canada-India relations down a precipitous slope, while also dimming Trudeau’s international stardom. But for all the harm suffered by the Liberals as a result of the diplomatic trip, the Indian escapade also reveals the conundrum that the Conservative Party faces. Nearly two and a half years after its election, the Trudeau government is still going strong. Reports of the impending end of the Prime Minister’s political “honeymoon” have repeatedly been issued only to be unambiguously proven wrong. To be sure, an election held today would undoubtedly be competitive; indeed, it may even result in a Conservative government. However, its improvement in the polls has little to do with its own popularity and indeed seems to be the result of a popular backlash against the Liberals. As the Tories struggle to connect with voters, it has become clear that they cannot influence the voting preferences of constituents; rather, they rely mainly on the mistakes of the Liberals. This is a troubling situation that CPC operatives must resolve sooner rather than later if they are to contend seriously in the 2019 federal elections. The election, after all, is the Liberals’ to lose. The so-called “fundamentals” all point to a fairly comfortable reelection for the Liberals. The current condition of the economy, the importance of which is captured in the iconic quip “it’s the economy, stupid!”, favours the incumbents. Additionally, parties in Canada tend to govern for multiple terms; the only majority government to be voted out of office after a single term since the 1930s was the Liberal government of Pierre Trudeau in his second stint as chief executive. After nine years of Conservative rule, the pendulum has swung too far to the Liberal side for the CPC to win absent exceptional circumstances. Victory for the Conservatives is by no means impossible, but it would require exceeding the expectations of the “fundamentals” model. The latter is not infallible, as the Orange Wave of the 2011 election demonstrates, but confounding theoretical predictions implies possessing a unique spark. The so-called Orange Wave shows this dynamic at work: the NDP performed much better than anticipated primarily because of Jack Layton’s inimitable charisma (which, to say the least, PM Harper was not endowed with). Similarly, the expectation of a three-way finish to the 2015 electoral campaign was upset by a dominant Liberal performance as Justin Trudeau’s charisma confounded fundamentals predictions. By contrast, today’s CPC is plagued by stale personalities that fail to excite the masses. By the end of his rule, Stephen Harper had become a deeply polarizing figure in Canadian politics, which proved problematic for the Conservatives. Today’s challenges are of a fundamentally different nature; if anything, CPC leader Andrew Scheer is not polarizing enough. Nearly a year after his election as party chief, Scheer remains a mysterious figure. Though he maintains acceptable approval ratings, 44% of Canadians do not know him. Simply put, the Conservatives are not newsmakers: they are unable to pursue their own narratives and to generate momentum in the media for the issues that they own. It is unsurprising that the incumbents receive the majority of media coverage, but the CPC’s utter failure to drive the agenda is nonetheless concerning. Part of the blame can be pinned on journalists’ seeming obsession with Trudeau’s youth and the role they have played in manufacturing the aura of mystique surrounding the Prime Minister. 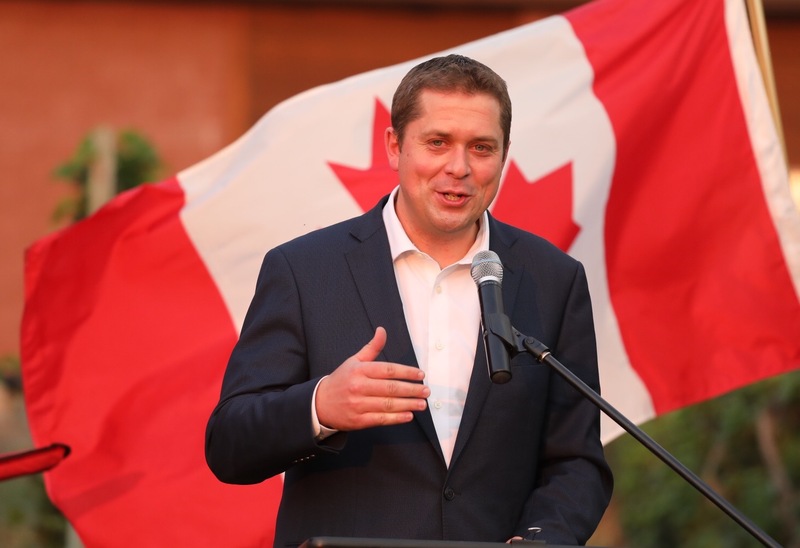 Whether the Tories’ problems are caused by the media’s uneven coverage or Scheer’s uninspiring personality is a question with only limited relevance. Whatever its roots, the Conservatives’ conundrum is a serious one. The Indian trip is a glaring example of this dynamic. For perhaps the first time since October 2015, the Trudeau government was under intense and sustained criticism that threatened to derail the Liberals’ extended honeymoon. Yet Scheer was conspicuously absent from most media coverage of the event. This was not for lack of trying – the leader did make multiple comments in the House of Commons and attempted to seize the occasion, but he ultimately failed to drive the narrative. The embarrassing trip to India remained, through and through, a Trudeau news story that scarcely made note of Conservative comments. To some extent, this is unsurprising — incumbents tend to dominate media coverage — but comparisons with recent elections reveal just how precarious the Tories’ position is. 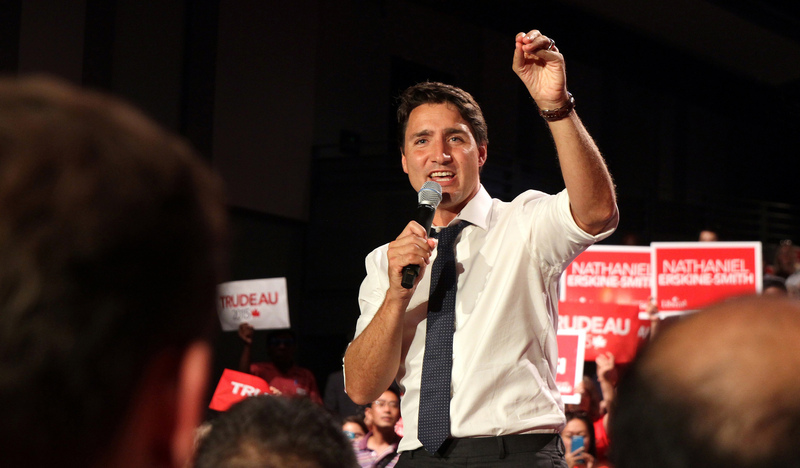 Both Thomas Mulcair and Justin Trudeau generated substantial media coverage in the run-up to the 2015 election, just as Stephen Harper did when the Conservative Party was founded in 2003. As party leader, Andrew Scheer’s responsibility is to obscure Liberal successes and appropriate media coverage of Liberal failures. So far in his tenure, he has done neither, which does not bode well for the Conservatives’ chances in 2019. The election is by no means lost in advance, but the Tories need either a fundamental improvement in their ability to generate media buzz or a series of serious Liberal blunders.